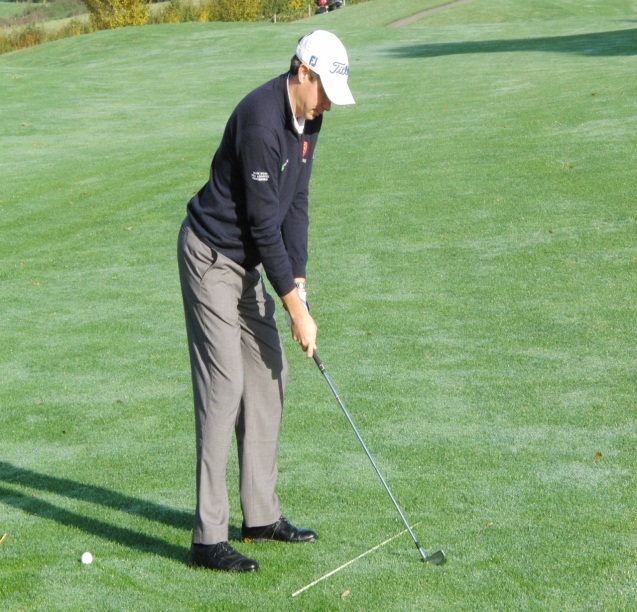 The amount of golfers who align themselves completely wrong at the address position will have a major influence on how they swing the golf club. You will compensate for this during the golf swing. I have helped golfers tremendously to stop shanking with this just one fault alone. 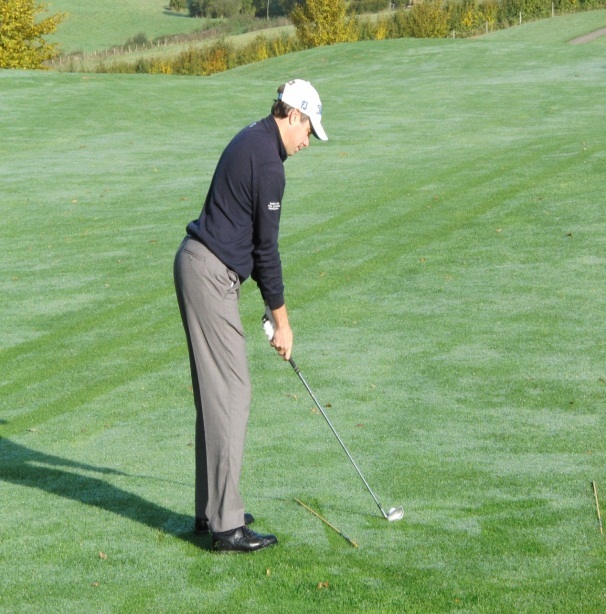 Most golfers from my experience align their bodies too far to the right of their intended target, in a closed position. At some point during the golf swing you are going to compensate for this and it usually happens in the downswing. You are fully aware of where the target is but due to the closed off stance you are going to swing over plane in the downswing to get the club back to the ball. 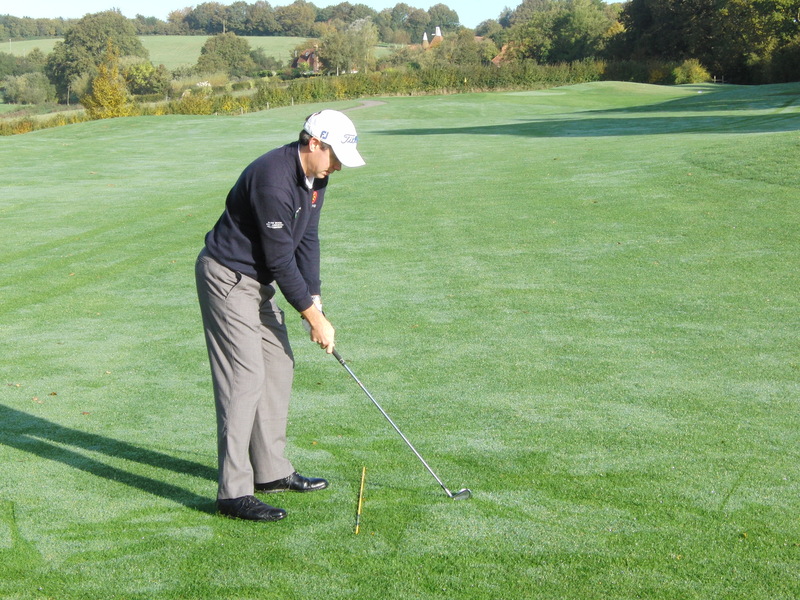 This moves the club much further out in front of you in the downswing leading to the hosel contacting the ball first. 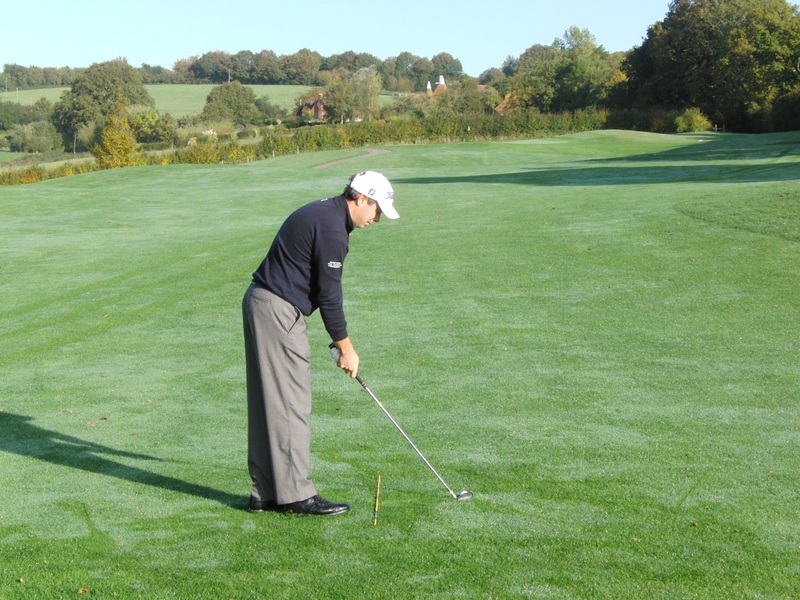 Some golfers even lose their balance: falling forwards in the through swing. 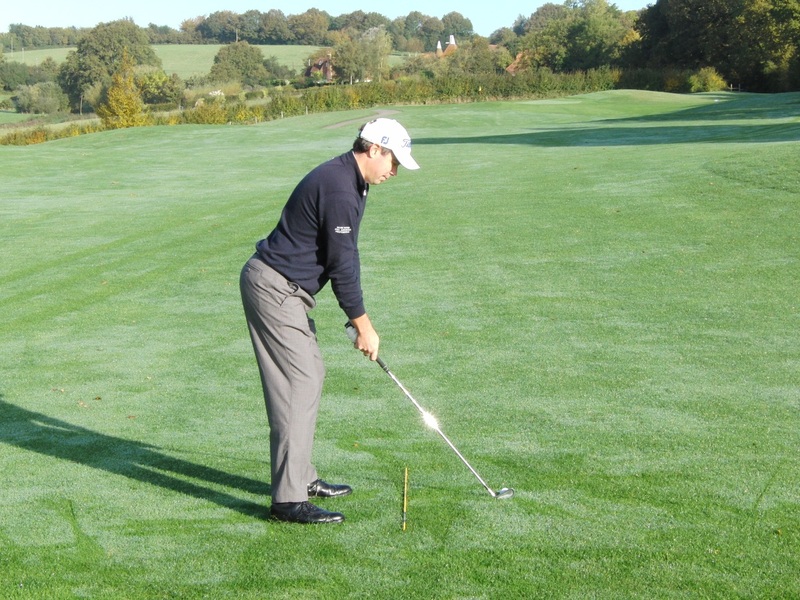 Great ways to improve your sense of alignment is to pick a point just in front of the ball (2ft approx.) which is directly on line to your intended target. Align the club face square to that point. From there build your stance keeping as square as possible to that point. 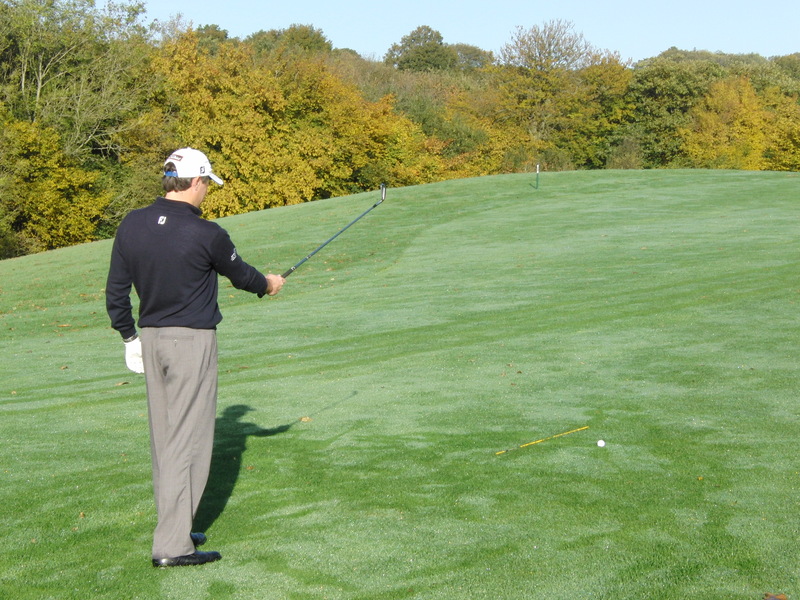 The way you set up to the golf ball is vital when you have the driver in your hands. It is so important to establish the correct spine angle so that you can create a full body turn which leads to more distance. Many amateurs set up with the in correct spine angle which also gives them poor body alignment, this could be the main reason behind your SLICE!! In the video below I give you a great drill to help you set up to the ball correctly for more explosive drives. Check out the video below and try it next time your at the range. One of the most important aspects of great golf is knowing how far you hit your clubs and controlling your distances with your wedges. You can learn this while you are practising out on the range or the course, pay attention to how far each shot is going, especially the carry distance. Professionals know how far each club goes and sometimes their caddie knows even better than their player. Knowing how far you hit each club makes life so much easier out on the course in tournament conditions, it will save you shots during a round. Most amateurs come up short of the green as they overestimate how far they can hit each club. There are factors to consider and your distances may vary and change due to wind and temperature as well as the kind of ball you use. On average you lose about 2 yards for every 10 degrees the temperature drops, which is why you hit the ball further in the summer than the winter. Everybody has their 150 yard club in the bag (for most it’s a 6 or 7 iron) so knowing what club you hit the magic 150 yards is a good start. Next you can work out what gap you have between clubs, it’s normally 9 to 12 yards as a rule. When you have all your yardages note them down in a course yardage book so you have all the info at hand during your round. With your wedges find out how far you hit each wedge with a hip to hip swing length, chest to chest swing length and a shoulder to shoulder swing length. Knowing how far your wedge distances are will save you a bundle of shots during a round. The first step in championship problem solving is to make sure you determine the exact nature of your problem. Many a tournament has been lost by the player who attempts an impossible shot from the rough in the vain hope of making birdie where bogey will win the day. The six or seven he winds up making takes him right out of contention. Precisely defining the problem is an art in itself. Golf teacher Tommy Armour, author of the timeless masterpiece of instruction, How to play your best golf all the time, was a master at finding a player’s problem and no one was better at accurately defining it. One day a club member approached him to schedule a lesson. “What seems to be your problem?” questioned Armour. “I can’t get backspin on my long-iron shots, like the pros do,” he said. “About 175 yards,” replied the member. “Then why on earth would you want to put backspin on the ball?” asked Armour. his third British Open. Both men realized they had similar attitudes to hard work, practice and determination. For his part, Faldo was fascinated by Hogan. He found himself in total agreement with everything the Hawk said. At one point during lunch, Faldo asked Hogan for any advice he might have on how to win the US Open. Hogan remained silent. As their meeting was about to end, Faldo again asked if there was one secret that could help him win that elusive US Open. “Shoot lower scores,” responded the great champion.